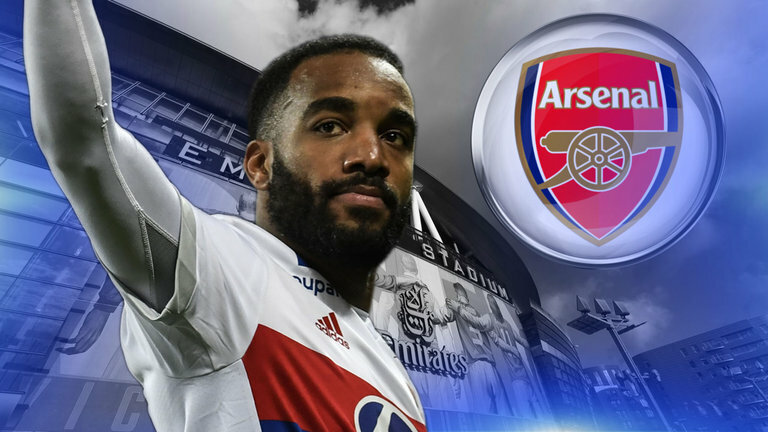 Reports from the Emirates Stadium has it that Lyon and French striker, Alexandre Lacazette has completed a medical at Arsenal and is set to complete a deal that will see him be Arsenal’s record signing surpassing the £42.4 million paid to Real Madrid for Mesut Ozil in 2013.
the ligue 1. His tally was only bettered by PSG’s Edison Cavani who came top with 35 goals. The France international was set to join Atletico Madrid before their transfer ban was upheld by the Court of Arbitration for Sport. Lacazette who has won 11 caps for France, will now be the second Arsenal signing of the season after Left-back Sead Kolasinac joined from Schalke on a free transfer.